Fresh Meat Productions is proud to co-present this fantastic transgender shorts Frameline program, Curated by Shawna Virago (Director, San Francisco Transgender Film Festival)! This collection of trans-themed shorts provides tantalizing tastes of exuberance, loss, love, wit and charm. Fagette is a transfabulous Sunday in the park, complete with croquet gone gay, drag cheerleaders and synchronized dance, all in an Astroturf wonderland. Laura lives a quiet life in the country, but this Señorita can’t seem to shake off the lure of the big city. A consummate actress, she leads a double life, but as her lies begin to unravel, will she be able to keep her worlds separate? Everyday to Stay is a gritty and vulnerable glimpse at the lives of two couples as they navigate love, identity and commitment through one partner’s transition. 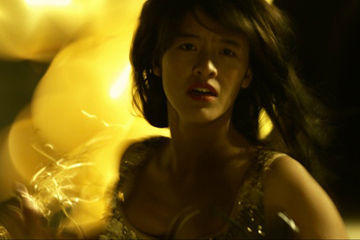 When her best friend dies, Fidelia plans a funeral to pay homage to her friend’s life as woman in Remember Me in Red. But when her friend’s parents arrive unexpectedly from Mexico and arrange to bury her as a man instead, Fidelia must find a way to honor what would have been her friend’s wishes before it’s too late. A picture-perfect heterosexual marriage is revealed to be a little more queerly complicated in the slyly comedic T4-2. Greg worries about gaining weight, but Chris has worked so hard to be happy with himself that he doesn’t want to worry about what he eats in the latest installment of Falling in Love… with Chris and Greg.